Signal Arts Centre was set up in July 1990 to address the lack of a focal point for the visual arts in Bray and North Wicklow generally and at the same time create a practical facility where artists could both develop their own work and make the arts readily accessible to the local community as a resource. Signal in common with other arts organisations is registered with the CRO as a not-for-profit limited company having a voluntary board of directors who are charged with the responsibility for the centres development. 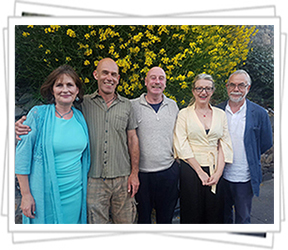 The long-term aim is to establish a permanent centre of excellence for the visual arts in north Wicklow that will act as a facility both for local artists and arts bodies as well as the general community. The Centre has made a significant impact in Bray, not only in the arts and educational fields but also as an addition to the towns basic tourism infrastructure. Signal first opened to the public since 1990 and in that time has embedded itself firmly into the cultural and social fabric of the community. The centre has provided an irreplaceable resource for artists and the general public alike and continues to upgrade and develop its arts programme each year. Over the years we have seen many sister arts organisations, locally and nationally, disappear due to lack of proper structure, lack of finance or simply because those responsible for them moved on or ran out of energy. The fact that Signal is still going strong is a testament to the people who over the years have supported the centre. In seventeen years we have employed several hundred artists, giving them the opportunity to renew or perfect their skills or learn new ones, avail of specialist training and gain valuable experience when working as part of the centre's outreach programme. Our arts staff have come from all arts and crafts disciplines: sculpture, dance, music, design, graphics, painting, photography, multimedia, ceramics, community arts, poetry, etc. Many ex-staff retain close links with the centre through participation in events using the centre's faculties or through membership of the Signal Arts Society. The fact that Signal operates as a "working artists" facility is central to the ethos of the Centre and both the quality of our artists and the projects they undertake have been widely recognised. 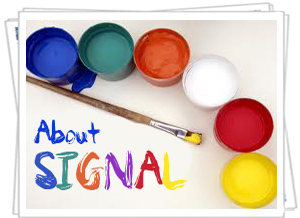 To develop Signal as a permanent centre of excellence for the visual arts which can act as a resource for artists and the general community alike. To raise the profile of artists and the arts generally within the community and to make both accessible to the broadest possible public in an environment free from aesthetic, political, cultural or any other bias or exclusivity. To provide a range of services, facilities, training and educational programmes for arts practitioners to assist them in the development of their career. To provide artists with the opportunity to exhibit their work through the centre's Exhibition Programme which aims to make significant work from all disciplines accessible to the widest possible public. To address the lack of suitable workplaces in the area by the provision of fully equipped studios for working artists in the centre. To develop the centre as part of the national arts infrastructure and to contribute positively to the development of arts policy locally by networking with other arts organisations and statutory bodies. To operate an Outreach Programme of community arts projects, making artists available as a resource to local voluntary groups, schools etc. and to establish artist residencies in the area annually. To support the development of Signal Arts Society as a resource for its members through the expansion of the facilities and benefits available to them in the centre. To support the implementation of the Charter of Rights for visual artists as ratified in Dublin by the European Section of the International Association of Art. Signal involves artists and innovative people who are developing their own artistic skills as well as providing arts workshops or working on projects within a community context. Signal includes a dynamic management committee, an administration team, staff artists and the Signal Arts Society. Signal is also home to The Albert Art Group. Claire is both supervisor of the CE (community employment) project, and manager of the Centre. She also represents Signal on The Wicklow Community Platform and sits on Wicklow County Council’s Community, Cultural and Social Development Strategic Policy Committee and is also a director of Shadowbox Theatre Company. Signal employs 15 part-time staff on yearly contracts through the centres Community Employment Project (C.E.P.). While on staff they gain valuable work experience and training in a wide variety of disciplines, both in-house and by availing of specialist courses outside the centre. Our Staff Artists come from every branch of the Arts: Visual, Performance, Music, Dance, Drama, Arts and Crafts, Photography, Sculpture etc., and while many of these are highly qualified and experienced we have always been happy to employ people who are just beginning to explore the possibility of working in the arts field. Similarly, with our administrative staff Signal is geared to progress new staff through general office procedures, bookkeeping, payroll management and computer skills, greatly enhancing their employment prospects on leaving Signal. All staff employed in Signal’s C.E.P. must be eligible for employment under guidelines set out by F.A.S. Check eligibility criteria here. If you are interested in joining the team in Signal contact the office for advice or send in your c.v. to arrange an interview. The centre maintains a list of accepted applicants who are contacted as soon as a suitable vacancy arises.